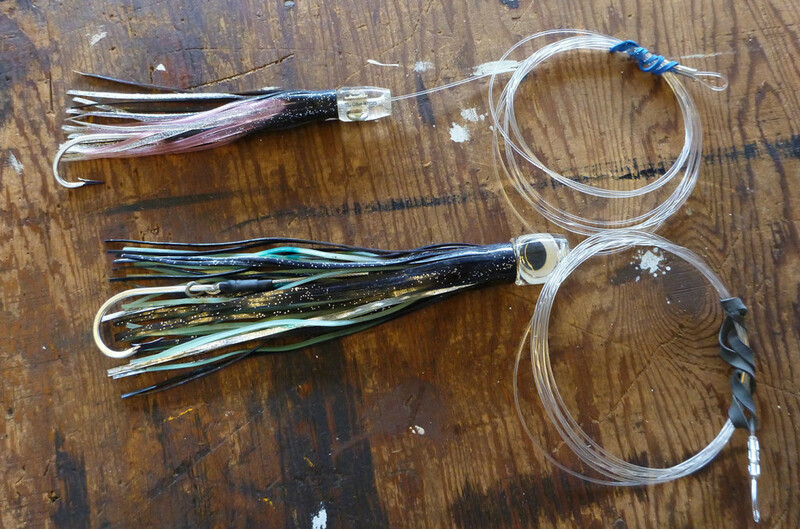 Have you ever wanted to build your own custom length hook sets for your trolling lures? It is not hard, once you gather the tools for working with stainless cable and heavy crimps. 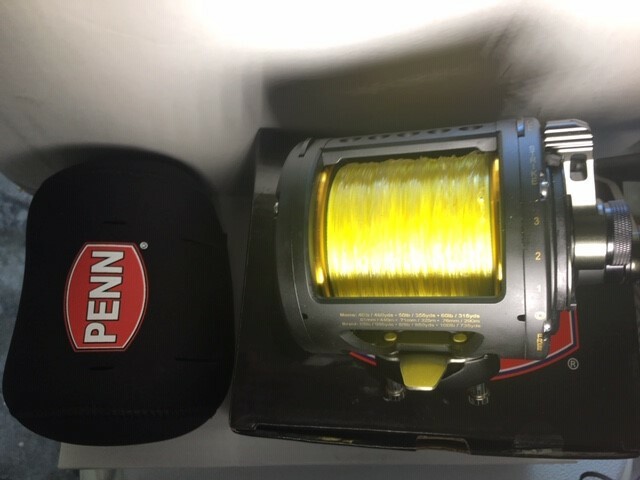 The cable creates a very durable component for the hook and offers protection and success for wahoo bites. 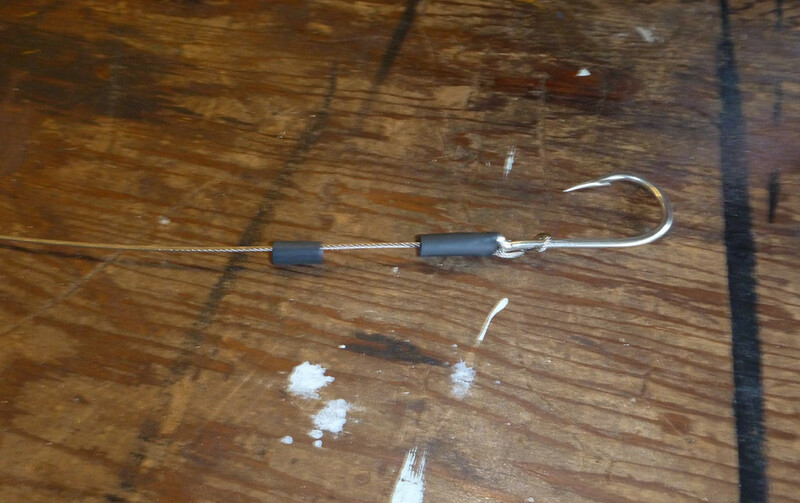 The cable is all hidden inside the skirt of the lure and connected to the appropriate sized mono leader in front of the lure. 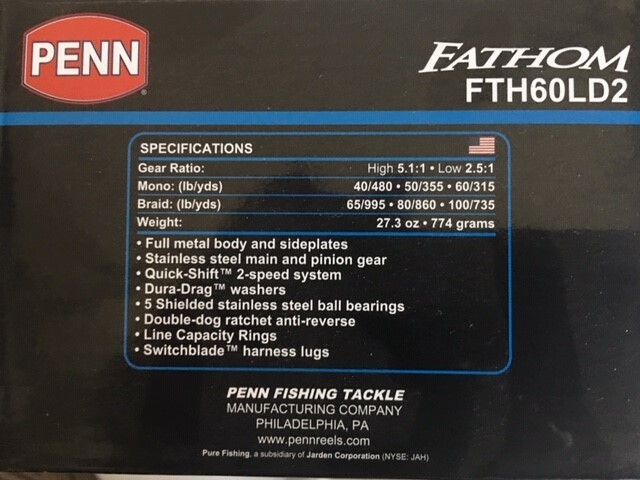 For years we made double hook sets, but now for the last 15 we’ve been using single hooks and the hook up is about the same, but the safety to fish and mate is dramatically better. That is reason enough for me, with no apparent trade off on hook ups. You need to match the leader, hook and cable size to match the amount of pressure you will be using and the size of the lure. 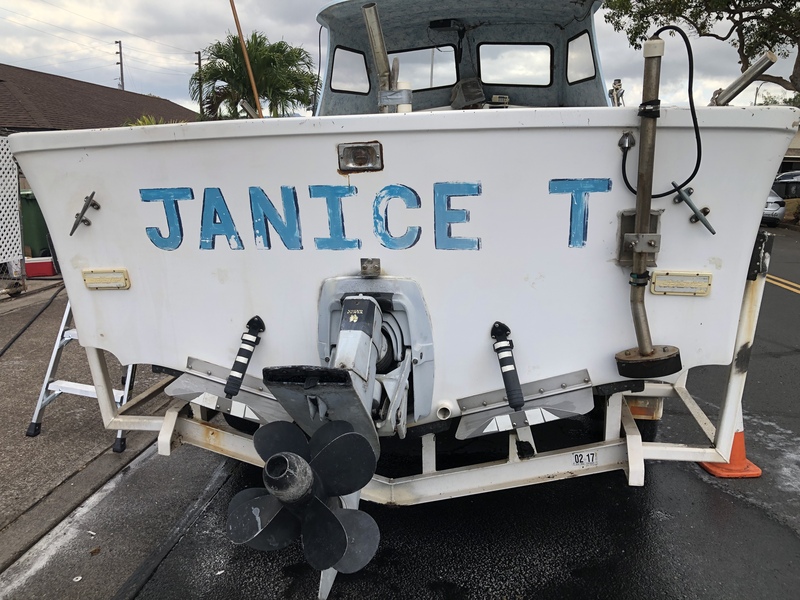 The average stainless cable I use is 600# and you want to use copper crimps because it does not corrode the stainless cable like aluminum does. You can use aluminum if you have too, but you will need to rebuild them much sooner. 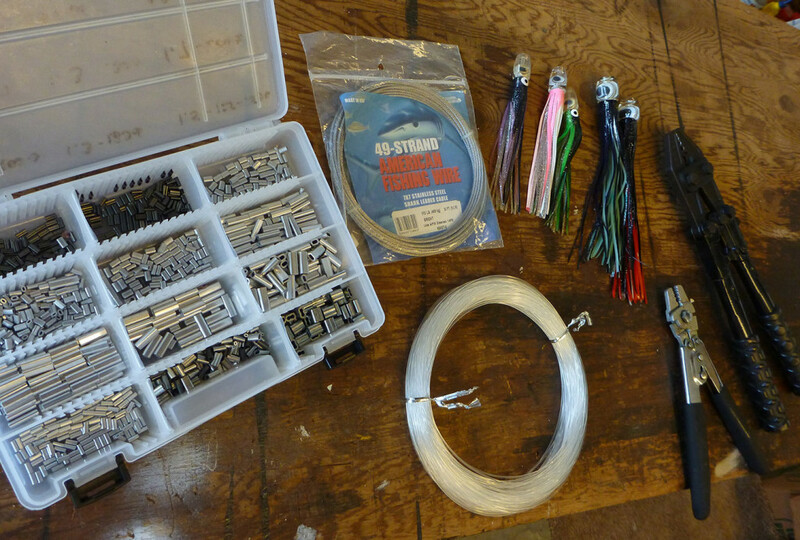 When I rig lures for trolling, I build hook sets that are custom made for the size of the lure and skirt. 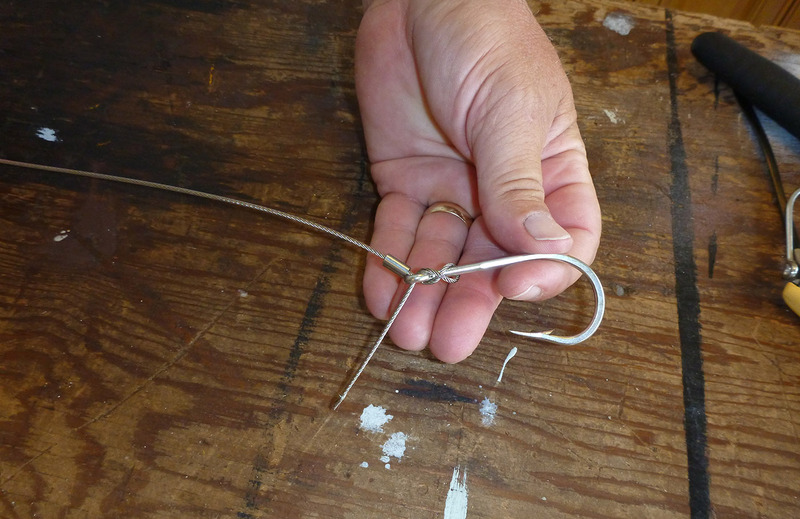 There are some variations of course, but normally I use a Mustad Southern Tuna Bend stainless steel 7691 hook. 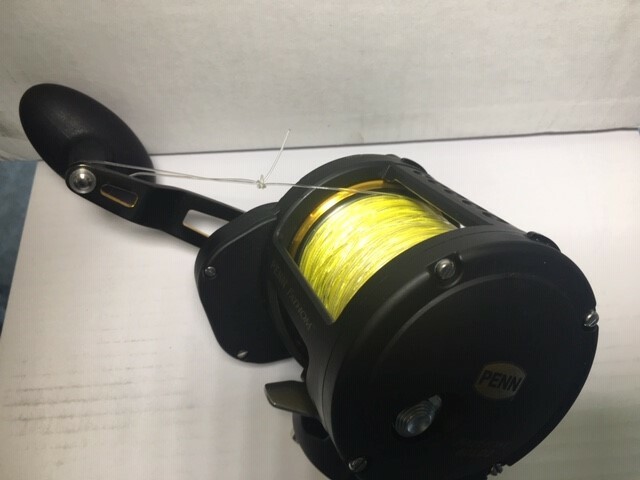 The hook set uses stainless cable to give you protection and allow you to catch a toothy fish too, though they will still tear up your skirts. This style also makes a stiff rig , which keeps your hook in position in the lure and not flopping around. 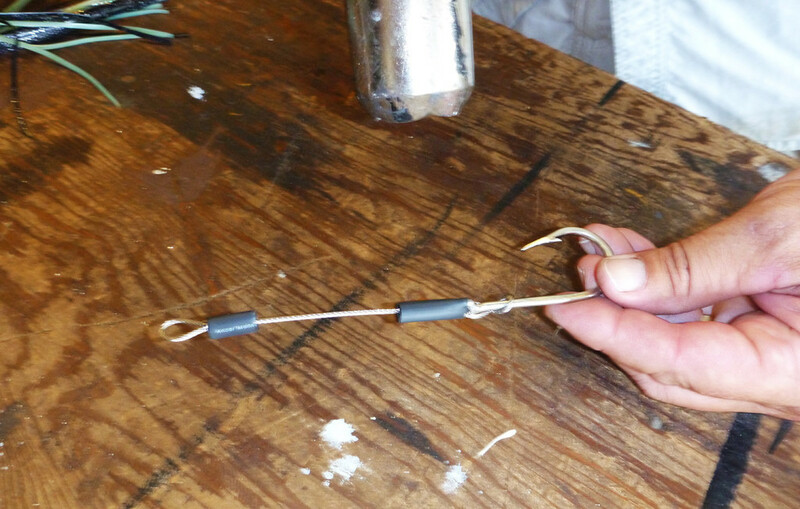 In this example I’m using an 8/0 Mustad 7691 hook with 16-inches of 650-pound stainless cable and the matching copper, double-sleeve crimp. 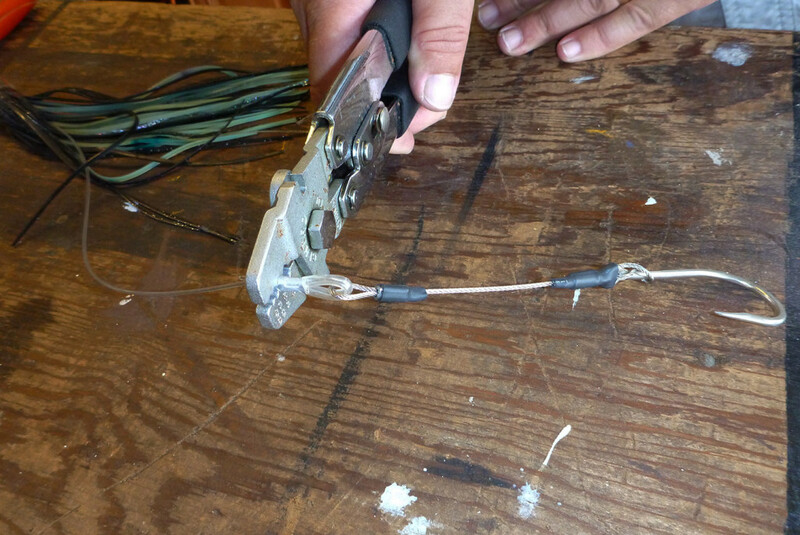 I use copper crimps for cable because the aluminum crimps will corrode against the stainless cable. First pass the cable through the eye of the hook leaving a healthy tag end of six inches or so. 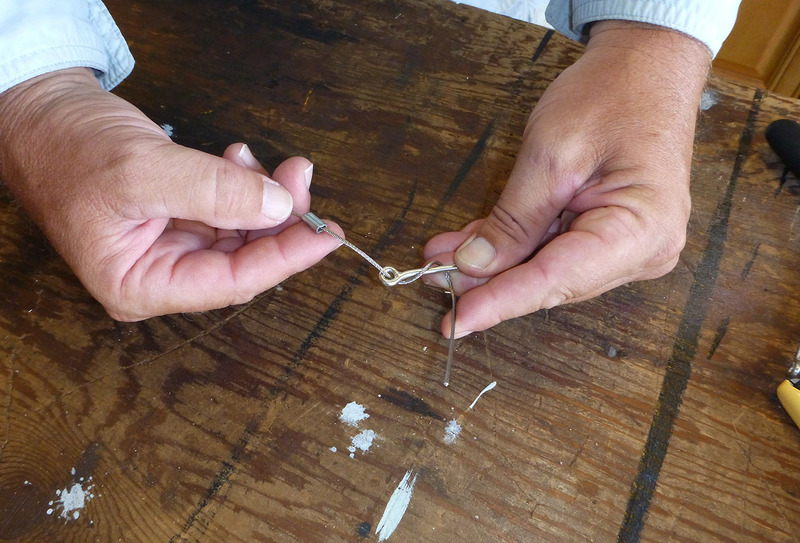 Put the crimp on first and pass the tag end around the shank of the hook. 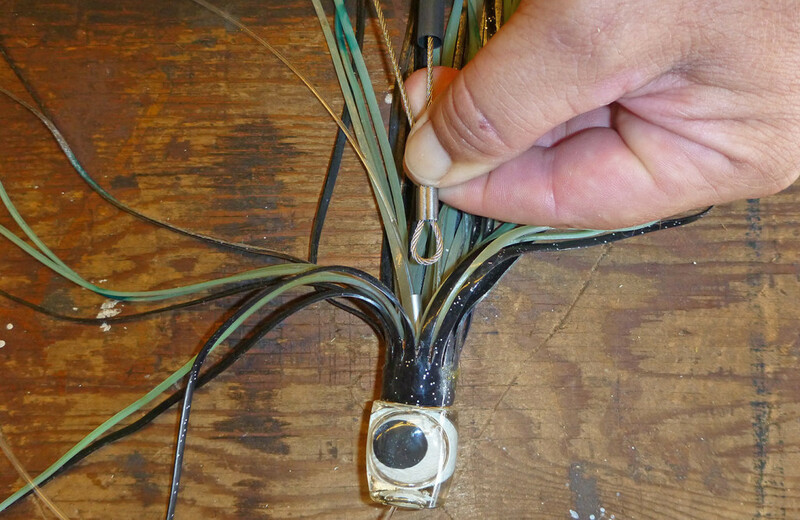 Wrap the cable around and back towards the eye of the hook. Pass the tag end of the cable through the eye in the opposite direction. 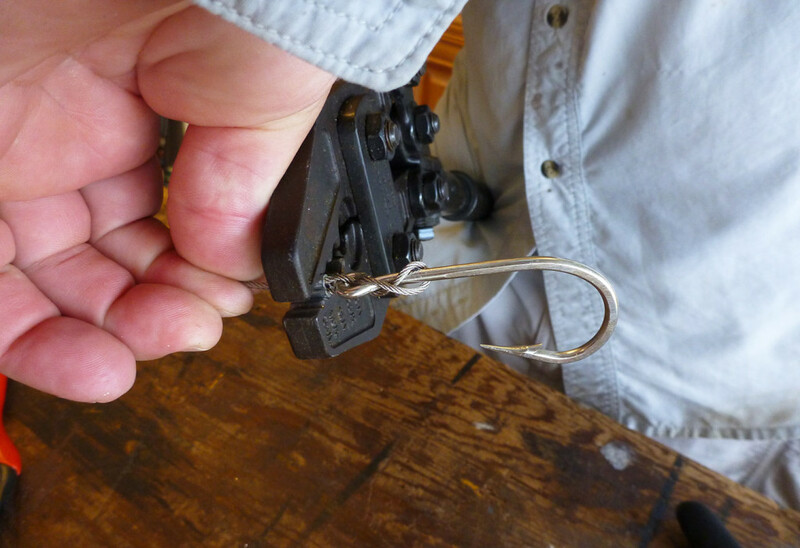 Pull the main cable and the tag to cinch up the slack cable around the shank of the hook. Using crimpers, I line the crimp up in the jaws of the tool. 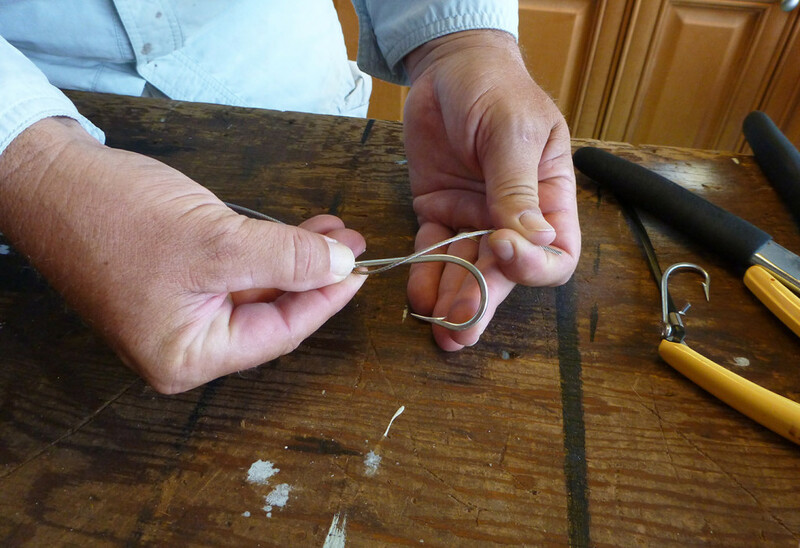 Then cinch the wire up tight by pulling both ends and then squeeze to lock it down. 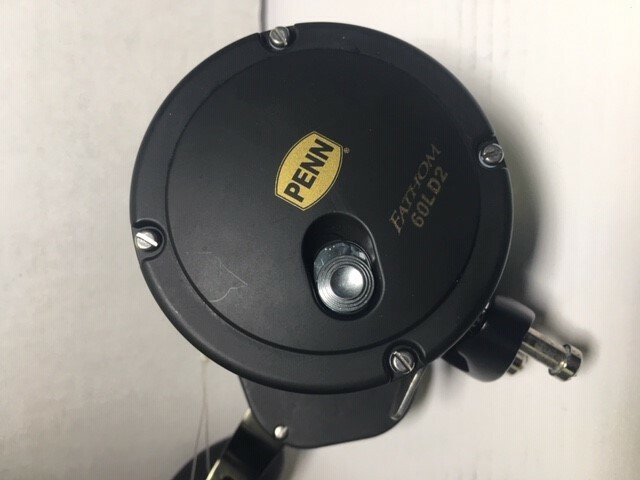 Using true cable cutters, snip the tag as close as you can, but use care not to snip the main leader. Yes it leaves the tags, but they will be covered. Keep going. Now take two pieces of the appropriate heat shrink with epoxy and place them on the leader. The lower piece should be longer to cover the cable and tag, while the second piece above will only need to cover the crimp and tag. 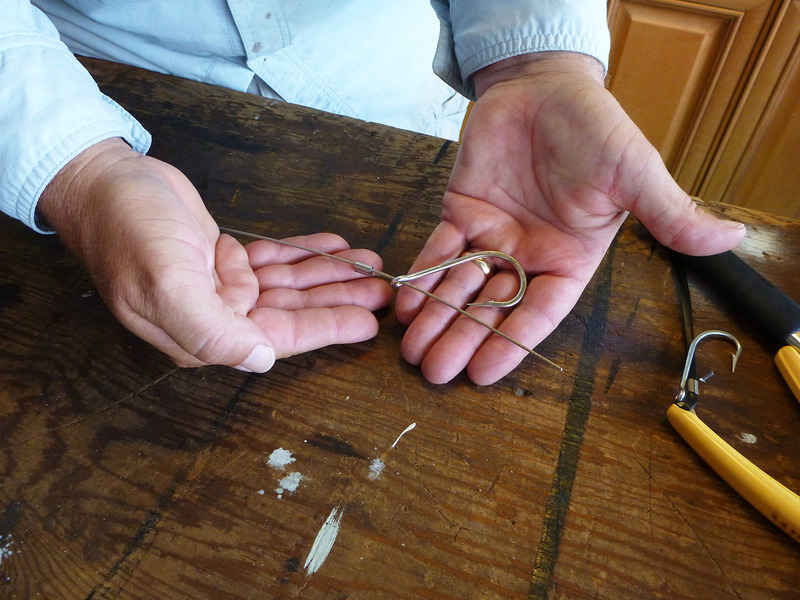 Now the length of the hook set will be measured. 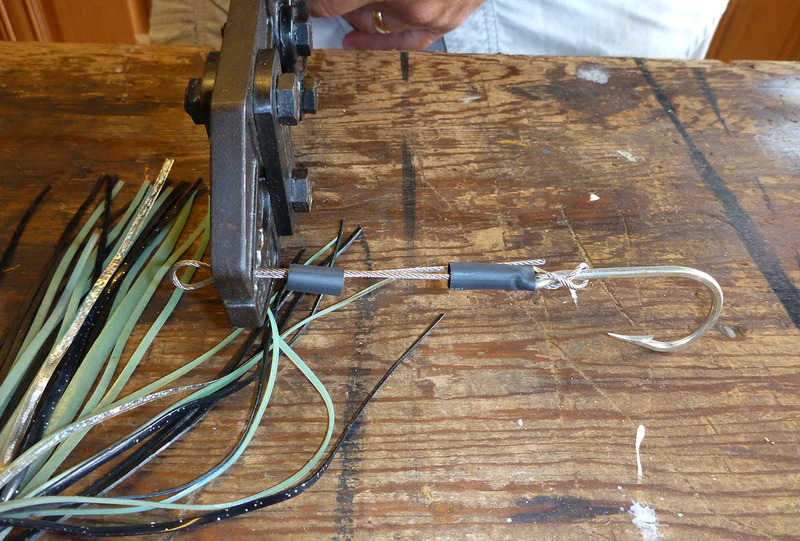 Depending on the style of lure head, measure where you need to make the end loop with a second copper crimp. 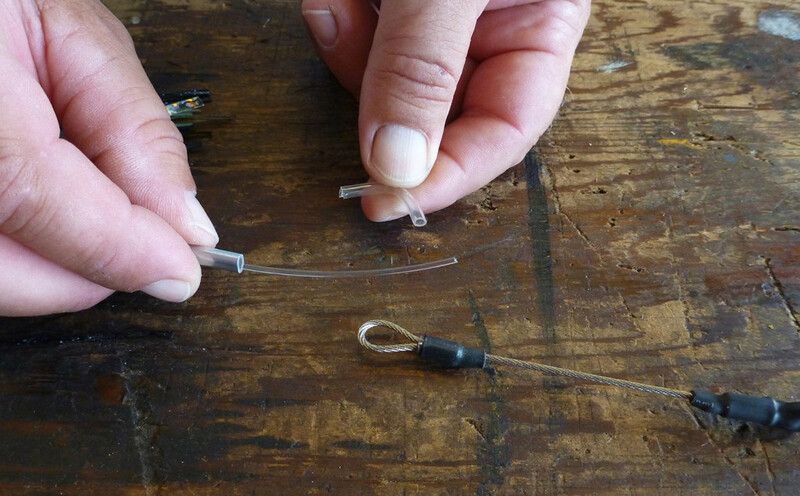 Remember to account for the loop to loop connection and the length of the second crimp against the lure. 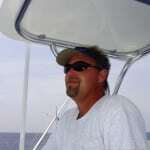 Some lures have a recessed area for this crimp and some do not so you should measure each one. My goal is for the hook barb to be about even with the end of the skirt give or take a little. 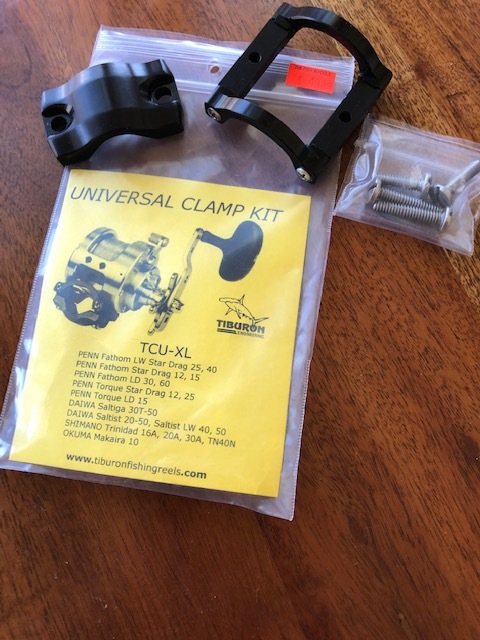 Once you have determined where to crimp the loop, crimp down with the proper slot in the crimpers so that you get a good squeeze without crushing the crimp totally. If your crimper seems in between sizes, then slightly compress the crimp with the next size down. 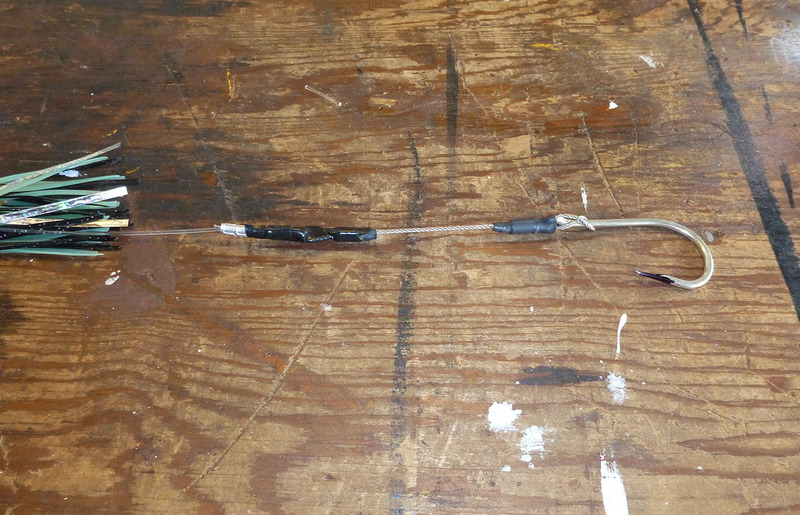 Now trim the second tag and then position the heat shrink to cover the crimps and sharp tag ends of wire. Shrink down with a heat gun until you see the epoxy squeeze. You can use a lighter in a pinch, just keep it moving so you don’t burn the tubing. Now take your monofilament or fluorocarbon leader and pass it through the lure head and then the proper sized aluminum crimp. 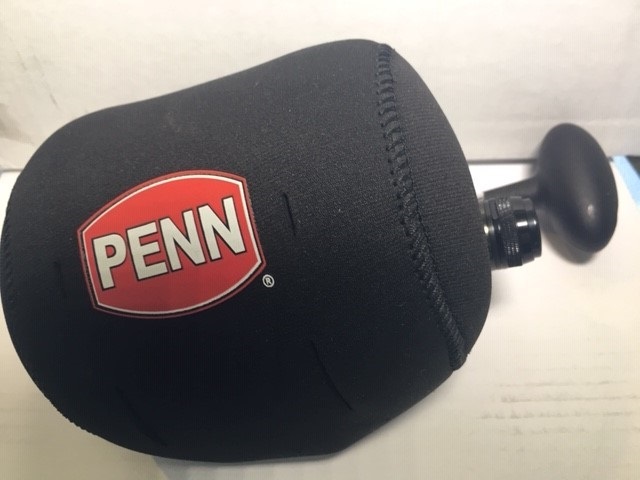 You should use chafe guard on the mono to cable connection to prevent wear and failure. I really like the plastic tubing type over springs and thimbles. Cut the tubing length to keep the loop as small as possible. Pass the leader through the chafe tube and then through the loop on the cable and back into the crimp. Pull down tight and crimp using proper crimping technique. 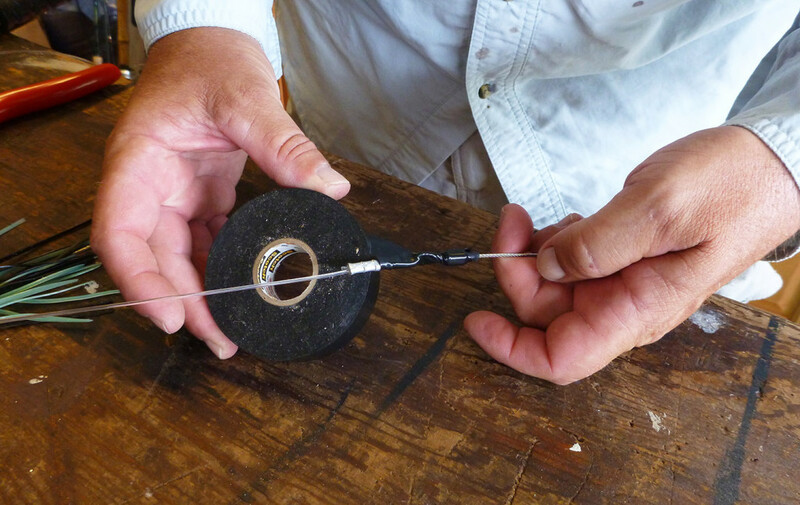 To stiffen the joint between the mono and the hook set, I tightly wrap electrical tape over the junction. This has to be replaced from time to time, but by then it is best to inspect all of your hardware anyway. Here is the finished product. I like to make extras of each length to go in a specific lure so that you can quickly replace it if needed and get the lure that is working back in the water. We label them in a bag specific to the lure. 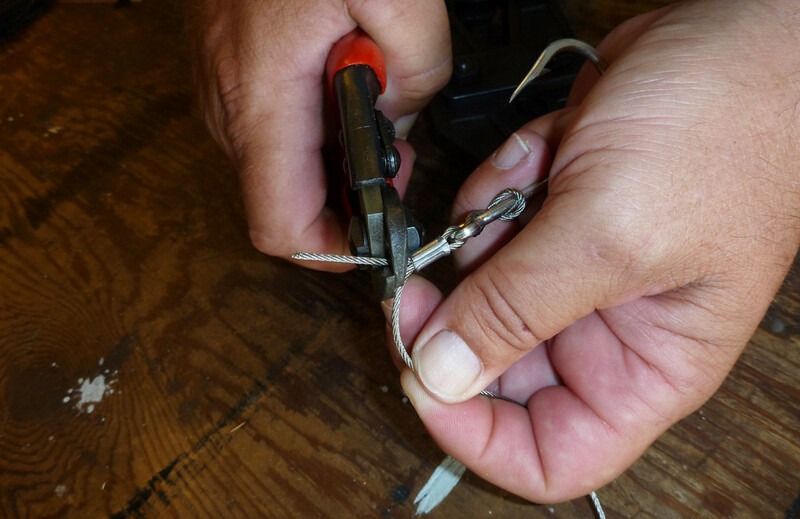 Don’t forget to sharpen your hooks and then coat the point.